On Friday November 1st, 1968, Muhammad Ali surprised students at the coronation of Miss Jackson State College which was Miss Tommie Harris. He was immediately surrounded by students who were handing him their coronation programs to get his autograph. 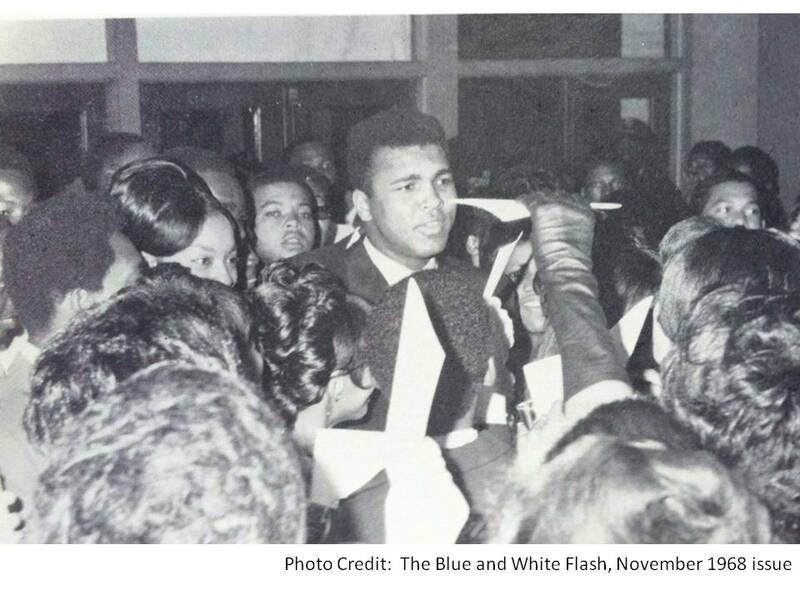 Although Muhammad Ali had come to Jackson for a speaking engagement, he spent most of his day visiting the campus of Jackson State University, formally known as Jackson State College. We blog about things that are absolutely, positively West Jackson (Mississippi).